Vendor applications will be available in May 2019! 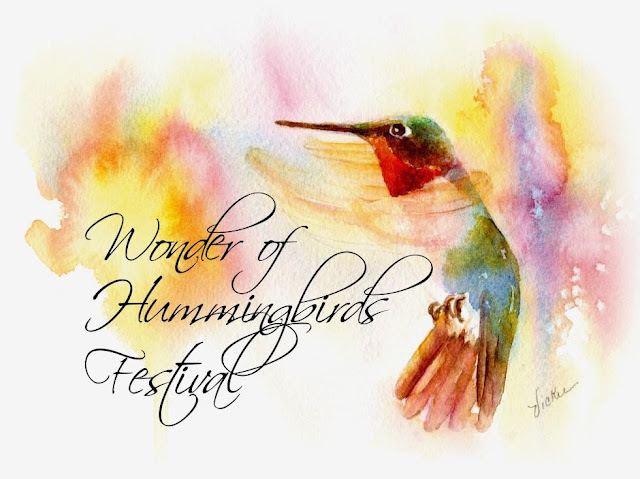 The Wonder of Hummingbirds Festival began as a joint effort between Ijams and the Knoxville Chapter of the Tennessee Ornithological Society. The event features speakers on nature topics, wildlife educational demonstrations, and vendors selling food and drinks, plants, locally made arts and crafts, bird feeders and supplies, and garden items. The main highlight of this event is the opportunity for visitors to get close to ruby-throated hummingbirds and learn about them during banding demonstrations by Mark Armstrong, a certified Master Bander. Hummingbirds are harmlessly captured, weighed, measured and banded before being sent on their way. Banding provides a way to document hummingbird movement during migration. August and September are busy migration months in Tennessee with thousands of hummingbirds moving south on their way to wintering grounds in Central America and southern Mexico. The event also features a full schedule of wonderful education presentations and activities. Sponsorships are now available for the 2019 event! For more information, please contact Cindy Hassil at (865) 577-4717, ext. 117 or chassil@ijams.org.